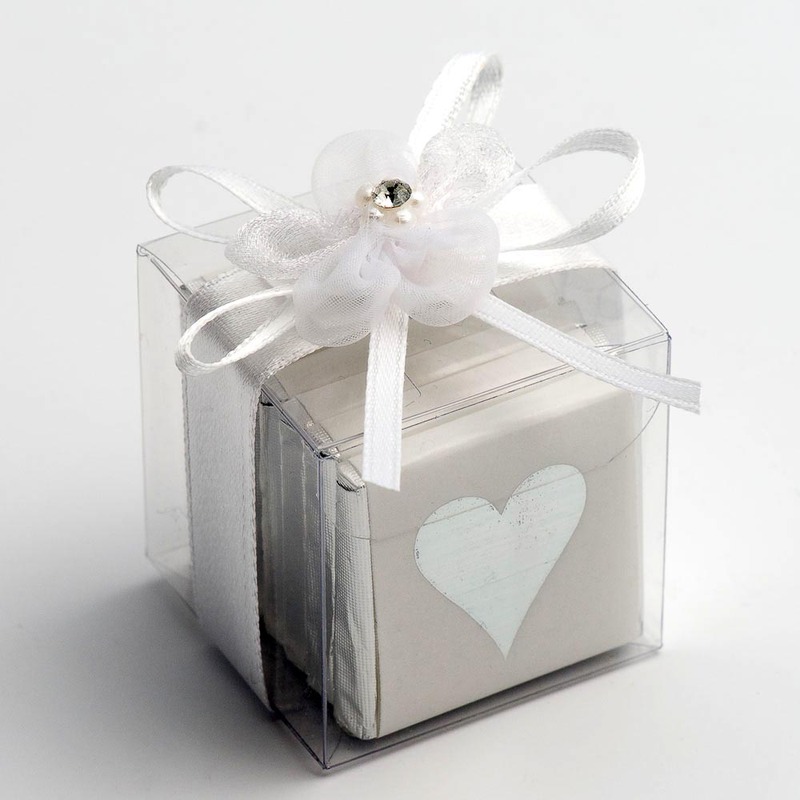 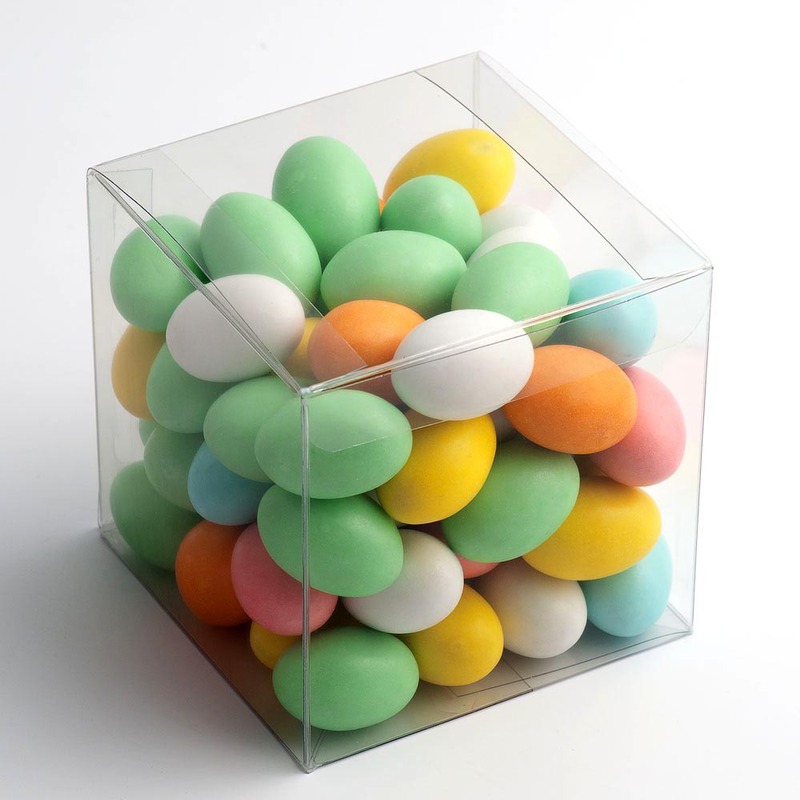 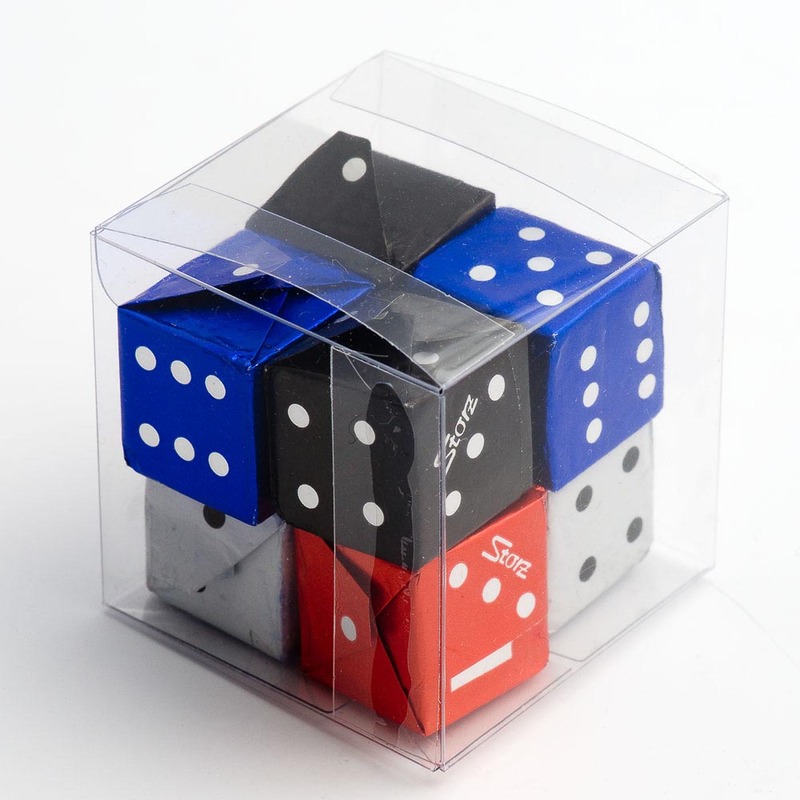 Our Clear Cube Wedding Favour boxes are a simple and extremely versatile favour for your wedding tables. 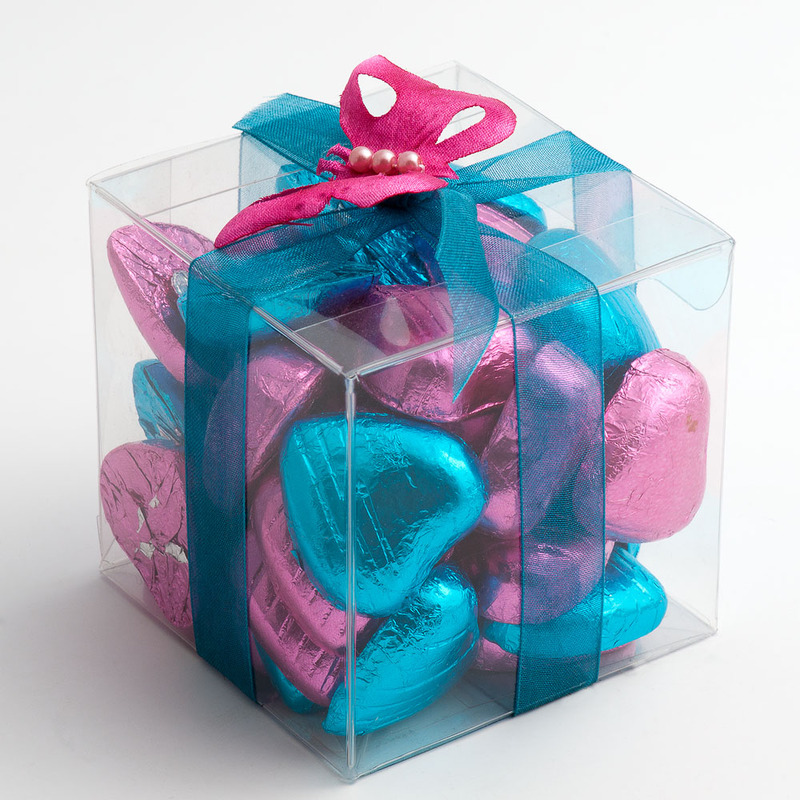 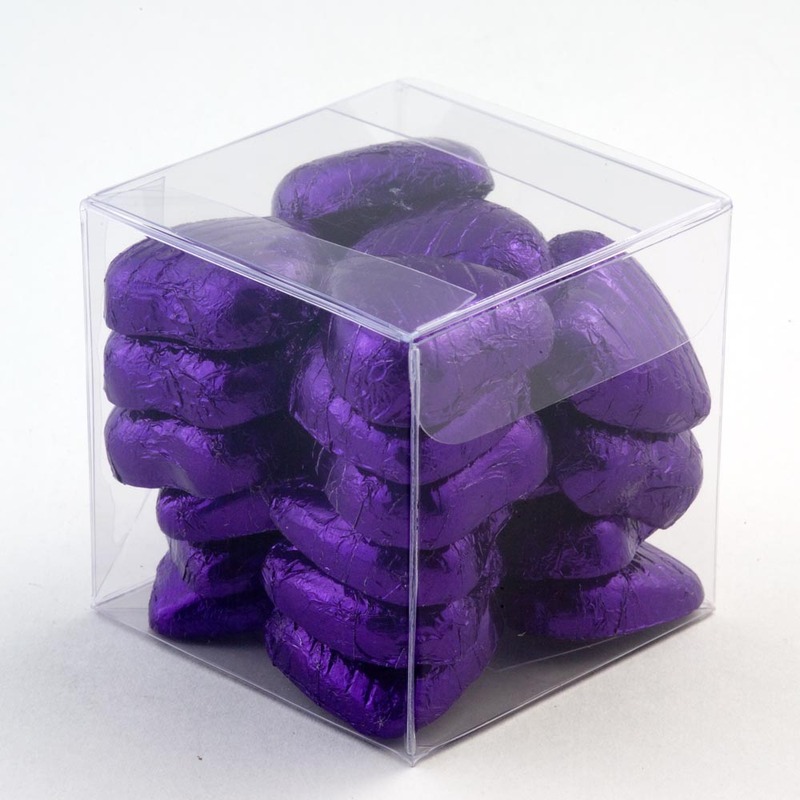 These favour boxes come in a variety of 6 different sizes and are a lovely addition to your wedding. 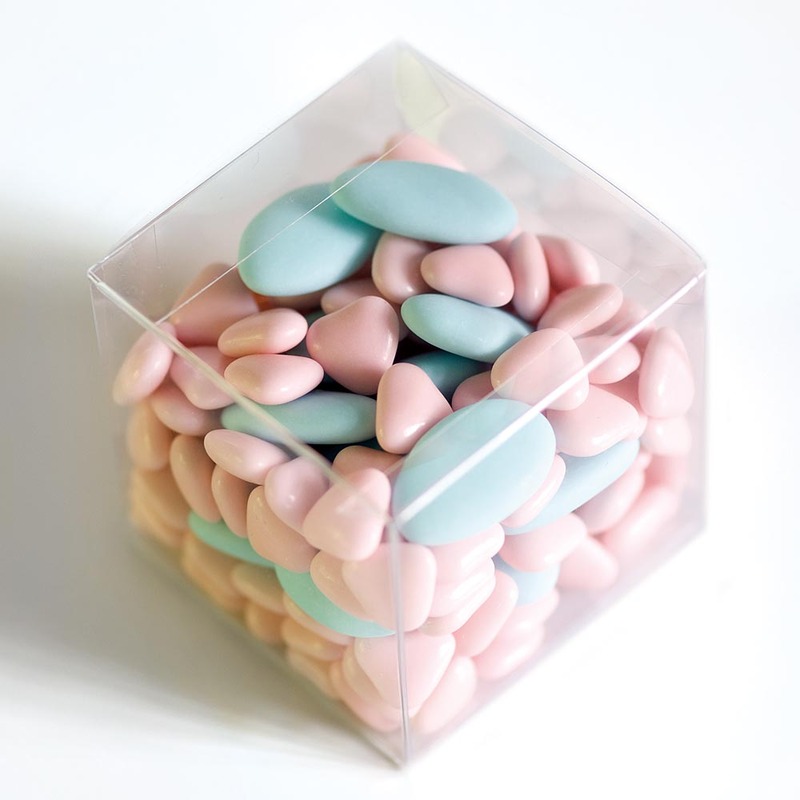 When paired with our satin ribbon and one of our flower embleshiments they can become a truely eye catching wedding favour, try filling them with brightly coloured wedding sweets for even more impact.